Last year a botched deal between Volusia County's public Bert Fish Medical Center and the non-profit Adventist Health System brought the issue of public hospital sales to the surface. 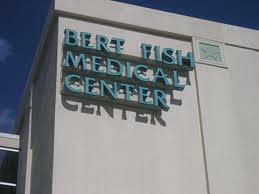 That deal died after it was disclosed that Bert Fish's board violated the state's Sunshine Law. Republican Representative Dennis Hooper is sponsoring the hospital sale bill in the House. "The Bert Fish transaction it was determined that the board violated the open meetings law at least 21 times." This is the second year that lawmakers are trying to pass a hospital sales bill. Last year the issue turned bitter and divided hospital lobbying groups. The previous proposals pitted private hospitals against not-for-profits and could have led to the state's Chief Financial Officer reviewing all hospital sales. However, this year's proposals, at least in the House, are different. And so is the tone. Nick Iarossi is a lobbyist for the Safety Net Hospital Alliance. "It was a little less combative this year. And I think part of that is because of the work to address the concerns and, this bill passed the House last year and, unless something happens, I would anticipate that it will pass again." Under Hooper's house bill, all deals would be reviewed by the court. But one area the hospitals say they'd like lawmakers to revise is the language around "fairness" and the process of court review. The bill call for the deals to have a fairness review. What that is and what it would look like is unclear. They also want more of a checklist system for courts to use in determining whether the deals should go though, instead of relying on a judge who may not be familiar with hospital sales. Bill Bell is the attorney for the Florida Hospital Association. He echoes Iarossi's concerns with some of the language, but says at the end of the day, Hooper's bill is a good start. "I think at the end of the day what everyone wants is a fair and open process that still permits a hospital in need to find a partner to continue services to that community." Three hospital sales bills are pending in the Senate. One of them, sponsored by Senate-president designate Don Gaetz, would give the state's Chief Financial Officer the power to review the sales. Governor Rick Scott has said he isn't very comfortable with the state reviewing what are essentially local transactions. But there is political steam for some kind of transaction review. A commission created by the Governor to review public and private hospitals, recommended that the state set up some kind of review procedure. Representative Ronald "Doc" Renuart, a Ponte Vedra Republican, says the move will help ensure taxpayers are fairly represented. "The public deserves this oversight because it's their property and their money. And that's why I support this bill." And Representative Hooper, who is carrying the House proposal, says he wants to avoid another Bert Fish fiasco, where people were offered jobs, in exchange for selling the hospital at a lower price lower than its market value. "It went so far that the signs were changed at the physical location and then it was disclosed that the members of the board had signed a sweetheart deal to become paid board members of the new entity and that fair market value was not addressed. And now the Bert Fish board and the other entity has had to hire attorneys and have a judge uncouple that sale." The conversation over the sale of public hospitals to private entities could also be a prelude down the line for a bigger conversation on hospital privatization, something the governor has said he'd like to see.